CALL ADKO NOW & GET YOUR 10% OFF ANY TOILET REPAIR OR NEW TOILET INSTALLATION. Is your toilet constantly leaking water into the bowl? This would generally mean that there is a issue with one of the valves in your toilet cistern or a washer that needs to be replaced. As much as it may seem tempting to carry out this work yourself, we strongly urge you to call a professional plumber, because if it is done incorrectly it could cause further issues down the track. Is your toilet making noises all the time? This would most likely happen with older toilets that have been used for a long period of time & the valves inside are no longer in the best condition. We would suggest in this case that you call ADKO plumbing so we can send out one of our licensed plumbers to access the condition of the toilet and recommend whether its worth repairing it or replacing it. Does your toilet require more than one flush to get the job done? It could be that your outlet valve is jamming, your buttons are broken or your inlet valve isn’t allowing enough water into the tank. Call ADKO plumbing today to have one of our plumbing specialists come out to service your cistern & determine what the problem actually is. Is your toilet showing signs of minor cracks? This is something commonly ignored, but can be quite dangerous if left for too long. Please call us if you notice any signs of cracking starting to appear on your pan or cistern so we can come out, assess the integrity of the unit & advise you on the best option to either repair or replace the unit. Have you recently sat down on your toilet & noticed it’s a bit loose? It may be something as simple as just re-setting your pan. If so, contact us today and we can have one of our plumbers out the same day you call to give you a hand. There is a huge range of different toilets, that vary in size, shape, style & most importantly price. Call us today so we can give you all the details and specifications you need to pick the best suitable toilet for you. So if you need toilet repairs, replacements or just advice, contact ADKO plumbing & you can guarantee a great service. 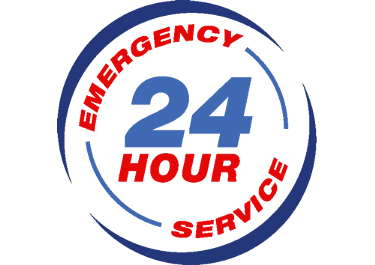 We specialize in all bathroom repairs, our plumbers are available 24/7 & are always on time.